In the past two days, my grandson Logan, for the first time, pet a dog. It was an actual stroke of the fur from head to hinney, twice. He also held and hugged, for a couple of minutes, a stuffed animal. 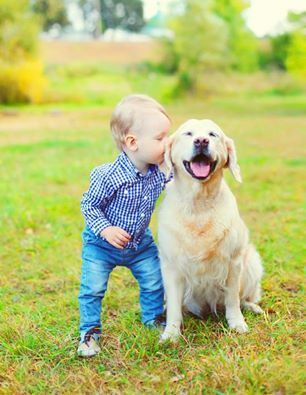 He is 2 years 9 months old. This is huge. 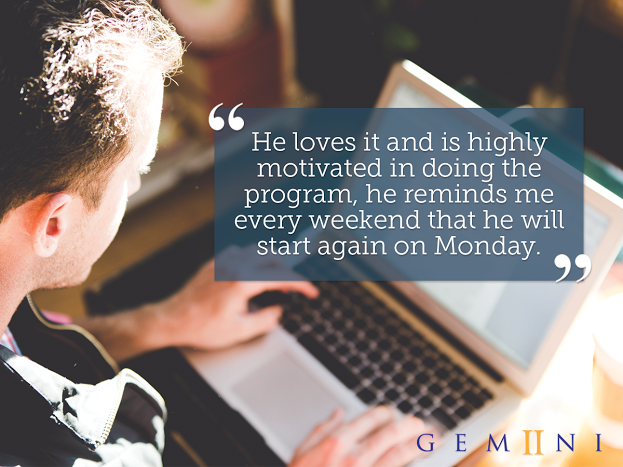 He has been using Gemiini since Nov. '15. 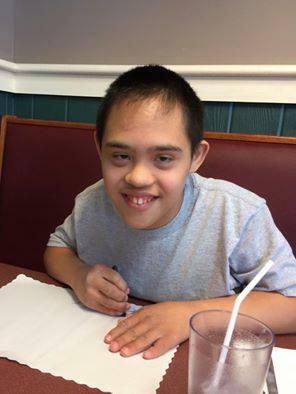 He continues to be without words but his social interaction and eye contact has improved immensely. 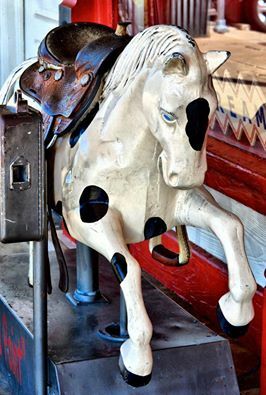 At the mall, after watching the Gemiini cowboy video, my daughter just climbed onto the moving toys then asked for 'coins' to put in and she stayed on it for 3 rounds!! She used to hate things like that before. 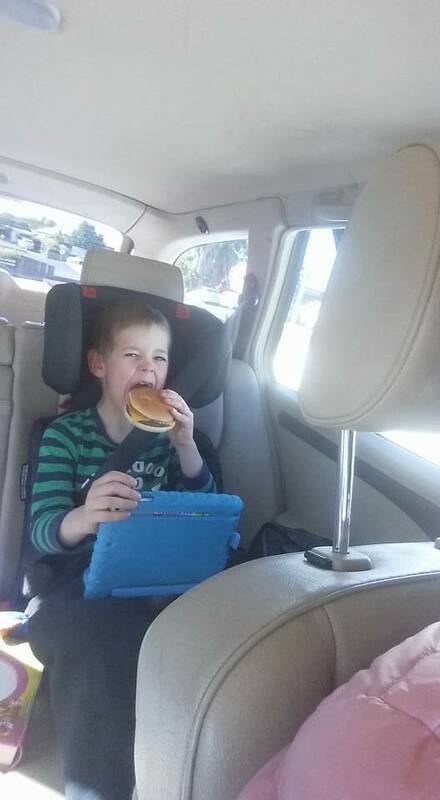 Max was watching his Gemiini video about hamburgers so I asked him if he would like a cheeseburger. He said yes! So I bought him one and he pretended to eat it and studied it and opened it and nibbled on a tiny edge of the bread. This is HUGE for him! I'm guessing a couple more attempts and he will actually bite one! I'm truly grateful for this page and Gemiini. A friend suggested trying Gemiini almost a year ago but I was concerned about finances. I wish I hadn't waited. Our daughter has made big improvements communicating and is trying harder to speak in longer, complete sentences. I smiled to myself the other day when another child attempted to take a toy from her and she responded with, "Hey, don't take that. That is mine, it is not yours." In the past she'd just yell, "No!" My 3 year old baby girl has been doing Gemiini for 10 weeks now. 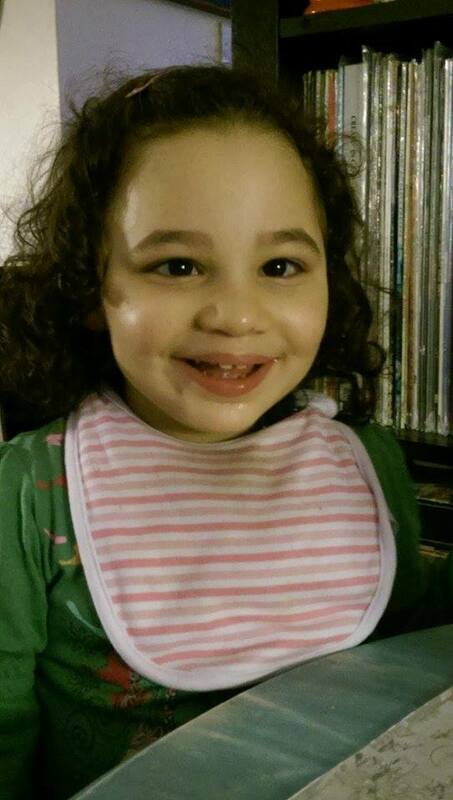 She has severe global developmental delay and though she's always made many sounds she has never said actual words. We've been doing a lot of imitation videos and this Saturday she imitated "bear" and "up" :) when we were playing and talking about her favourite cartoons - Masha and the Bear. So happy I could dance on the table! Thank you Gemiini, I knew we were on the right path when signing up, and this just gives us more incentive to carry on. I didn't get to see Matthew last week but I saw him in class and then in my room with Miss Perry today. I am AMAZED!!!! I had a tear in my eye. I can't believe the progress in what seems like a few weeks. 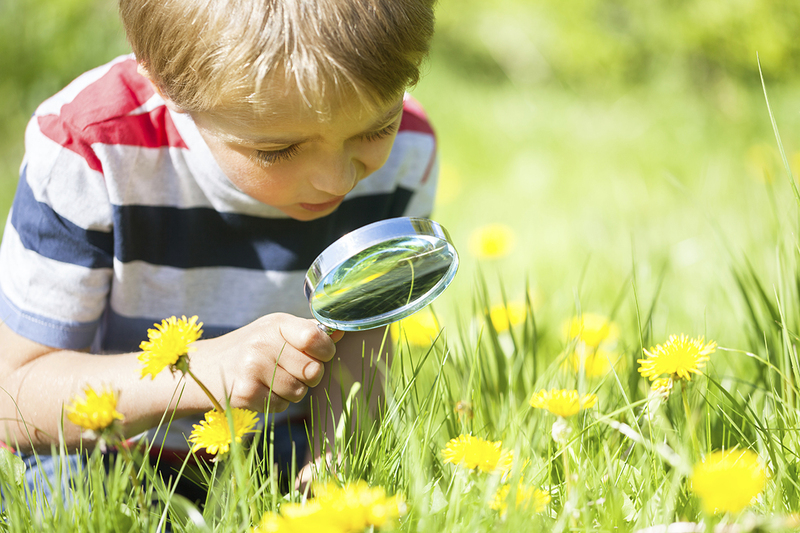 Blending sounds and attempting lots of talking." Gemiini isn't always switch-flipping magic. 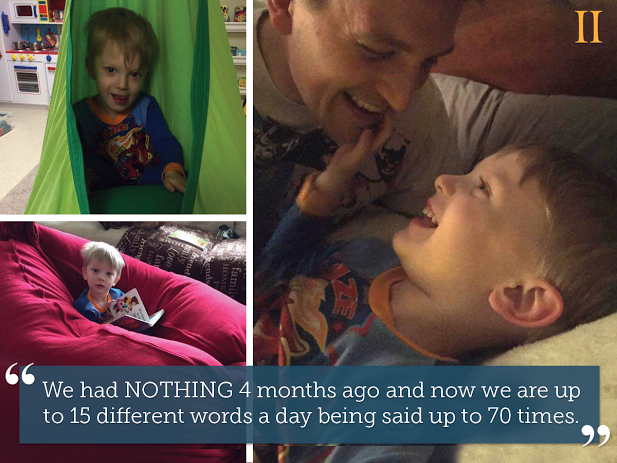 Just to encourage those of you who wonder why your child doesn't imitate the animals like the other success stories- we had NOTHING 4 months ago and now we are up to 15 different words a day being said up to 70 times. And this is just during therapy. He has gained 40 words/word approximations in the past 4 months. Crying tears of joy after my mostly non verbal (just babble) 3-year-old daughter identified every shape as I drew them for her. She has been loving the shape and color videos. Such an amazing breakthrough for her. So glad we found this program. 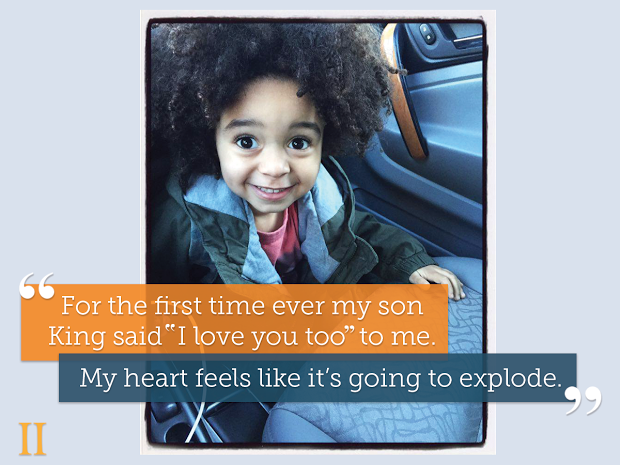 "For the first time ever my son King said, "I love you too" to me. I'm literally in tears! Sweetest words I have ever heard. I tucked him into bed, gave him a kiss, and said, "Goodnight I love you," and he said, "I love you too." I was so shocked I said, "Did you just say, "I love you too? Say it again!" Then he said it again, "I love you too." My heart feels like it's going to explode. I don't know if it's Gemiini-related since we haven't watched any videos saying "I love you" but I know in the two weeks he has been doing Gemiini he is much more verbal and ready to try and repeat new words. I literally have been trying to get those sweet words, "I love you," out of him for over a year! "Tonight I read to my son a book about a boy going fishing on his motorboat through islands off the coast of Norway, then I asked him if he would like to go fishing someday. He said yes, then I asked him what he would like to "fish." He immediately corrected me, "catch," then he said, "Blue marlin!" 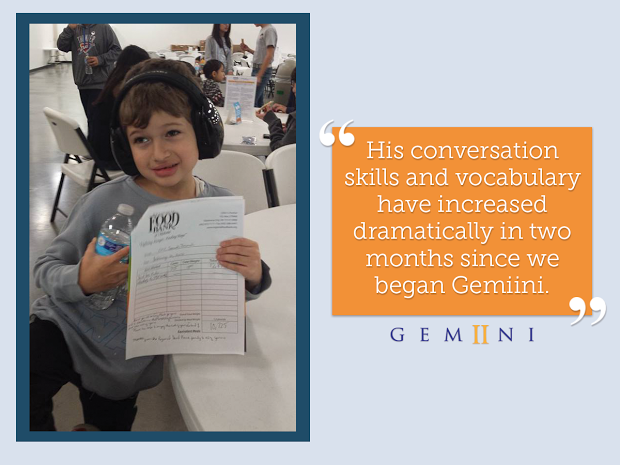 His conversation skills and vocabulary have increased dramatically in two months since we began Gemiini. This picture is first time that he got to come with us to volunteer at the food bank!" 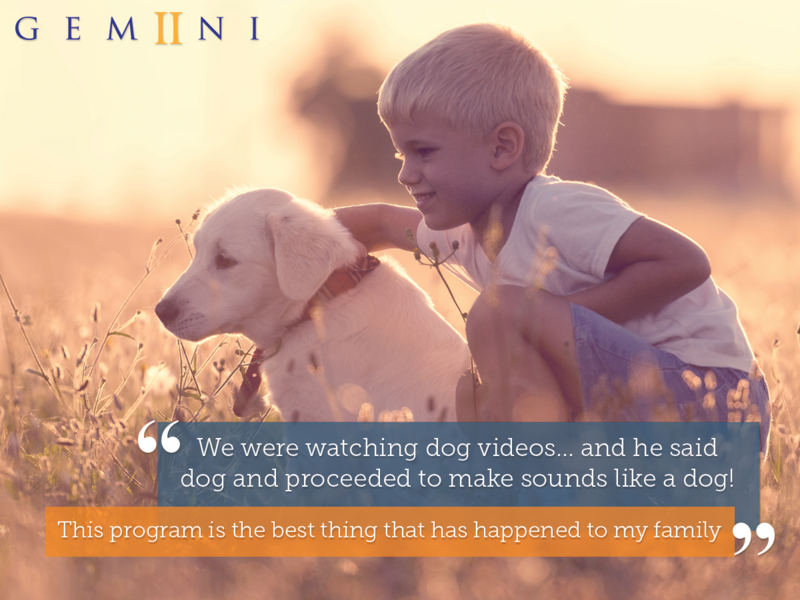 "This program is amazing. My son hasn't said a word yet but everyone had noticed he tries to communicate more and is very cooperative in therapies. He is making new sounds and for the first time I believe he is going to talk. Thank you Gemiini!" 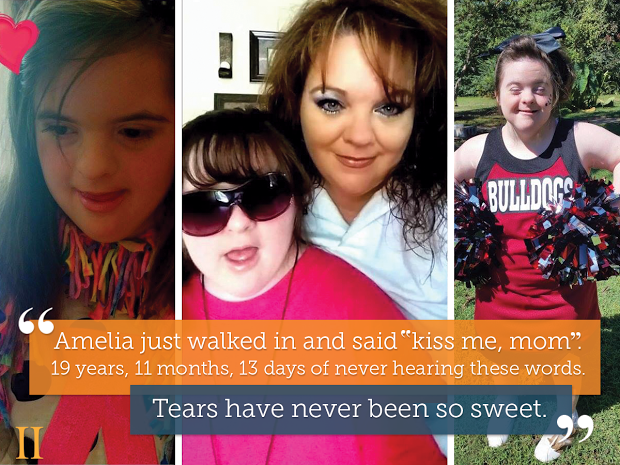 Tears have never been so sweet. How could I ever express my gratitude for this? I have never been at such a loss for words in my life. I am so in love with my sweet girl, and so in love with Gemiini. If those were the only 3 words she ever learned, I am satisfied. "I love unexpected gains. The library used to be a place we would get kicked out of or we would have to leave. Josh would rarely follow instructions. He was loud and running around. He once set off the fire alarm years ago. Sensory therapy helped so he could talk to the librarians, not make disturbing noises and no crying or having to lie down to study the ceiling. But now that Josh is used to being focused on the computer, he can do learning games on computer at the library for a couple hours after sitting quietly to read books with me. He does not get upset at all when its time to go home. 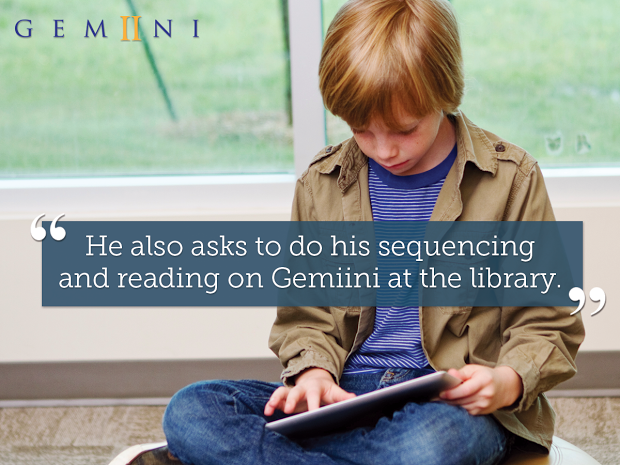 He also asks to do his sequencing and reading on Gemiini at the library. This symphony of gains means I can take him with his four siblings to the library for the afternoon with no issues....well my 4 year old doesnt like to go home so I tell him to look at big brother with Autism and how he handles it." I am so excited!!!!!! 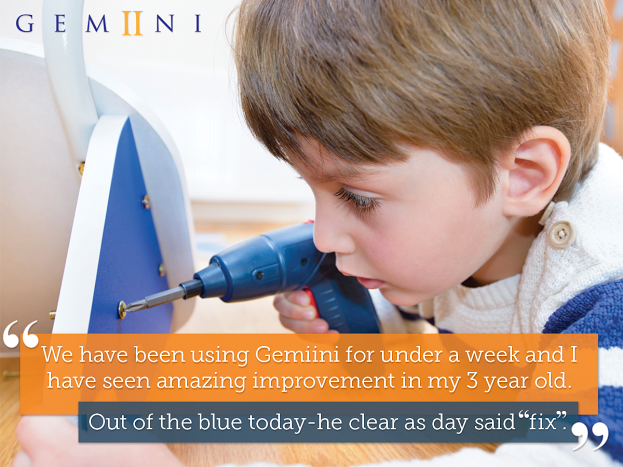 We have been using Gemiini for under a week and I have seen amazing improvement in my 3 year old!!! I know that sounds crazy-but I'm watching this unfold before my eyes! Here's an example… He has struggled with the word "fix" for so long. He usually says "seek". He could make all the individual sounds, he just couldn't put them together. Out of the blue today-he clear as day said "fix." His articulation has significantly improved in just 6 days. I tell everyone who will listen about Gemiini!!! We started Gemiini a week ago today. 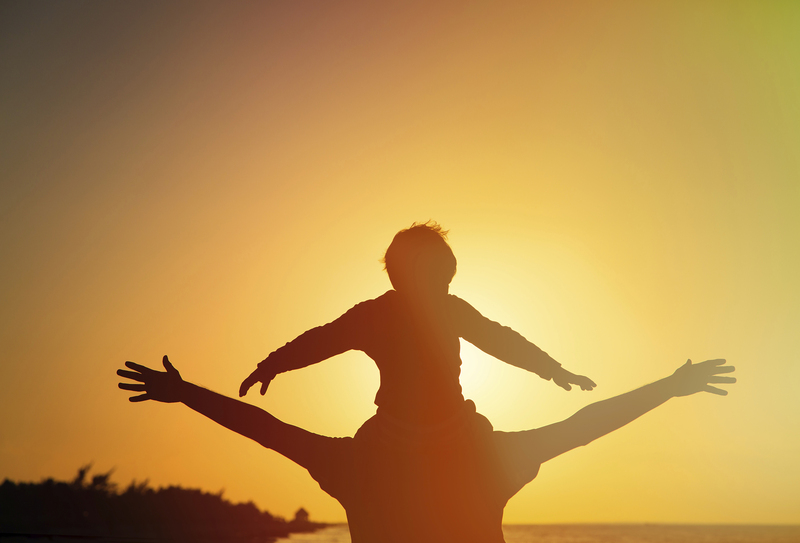 We are amazed at our son's progress! On the first day, he said 'bear' for the first time ever, then not much for the rest of the week... although was very interested in the videos. Today, out of the blue, started repeating all the words and actions from video 2.0. My husband and I nearly fell over! This is from a four-year-old with Autism, who only knows a few words and has a hard time speaking. Feeling super hopeful and motivated. Thank you Gemiini!!! "First Gemiini gains to report! My guy is a few months shy of six years old. He has autism and was also recently diagnosed with MERLD. He is verbal, but his average age between receptive and expressive language is 3 years, 3 months, so we have a long way to go. I've been making custom videos for him. This week we've been doing comparisons and action verbs. 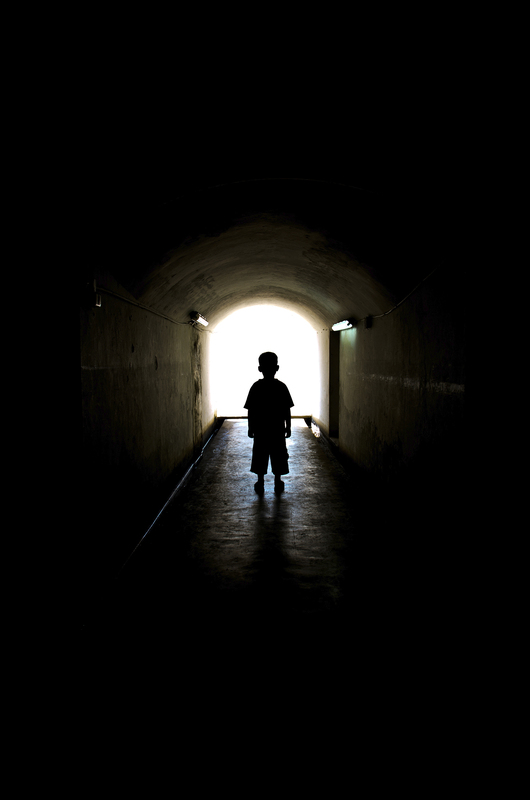 Today after his dad told him he was going upstairs, he said "I understood." Later, he gathered all his pretzels and told me, "I have all of them." Both of these are concepts covered in his video this week. Lastly, he asked his first "why" question today. I've waited so long to hear him ask "why" about something. I can't wait to keep going and see what he'll say next." "Something has clicked in him watching these videos. He's responding to his name more consistently, he's been saying or trying to say words. He recognizes animals he's learned, and he even has responded to me. 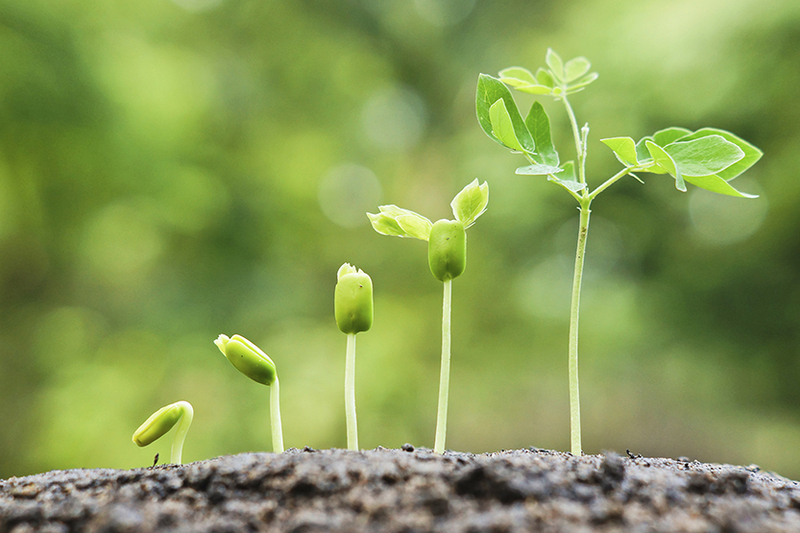 We know that these are no less than amazing, especially when you feel hopeless. What do you have to lose?" 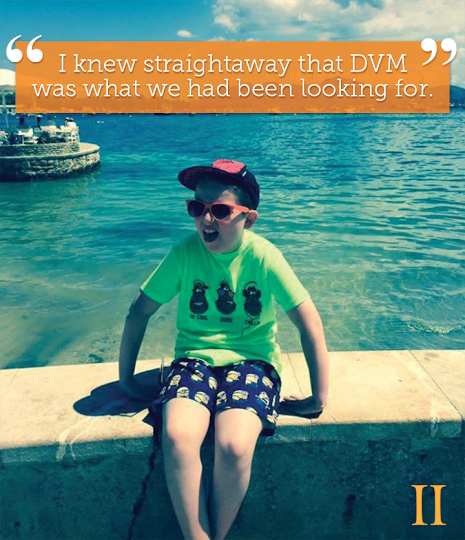 "I would like to say that this program is the best thing that has happened to my family. My son who was non verbal in any way is now saying up to 25+ words. Today we were watching dog videos on youtube and he said 'dog' and proceeded to make sounds like a dog. I teared up with joy." 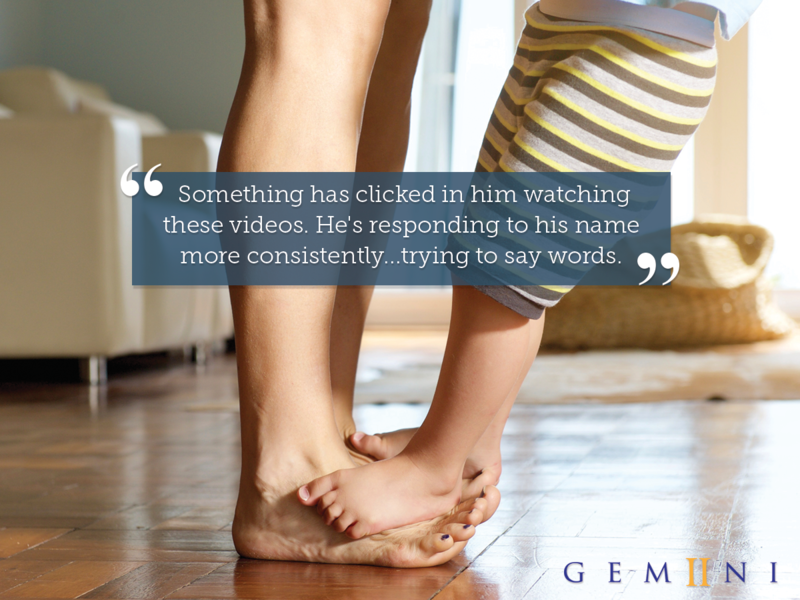 "I just started Gemiini for my non-verbal 2 1/2 year-old son, who was diagnosed with ASD four months ago. He has been in speech therapy for almost a year & has barely tried mimicking sounds or words ... Until now. My jaw was on the floor when he said "Cat" perfectly on day 2 & "Dog" on day 3. I cried happy tears, I am so over the moon happy hearing his little voice!!!" "We heard "daddy" and "I love you" for the first time yesterday...brought tears of joy." 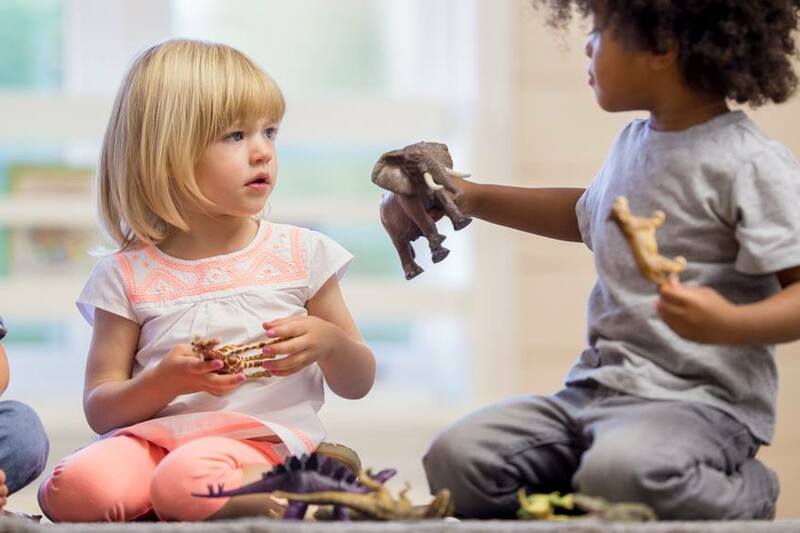 "My son is 3.5 and starts school in the UK in September. He is Autistic and only had a few words. 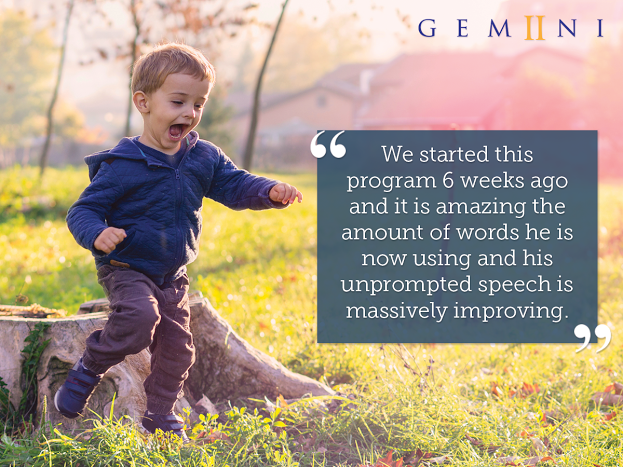 We started this program 6 weeks ago and it is amazing the amount of words he is now using and his unprompted speech is massively improving. Definitely seeing a massive difference already." First Gemiini gains to report! My guy is a few months shy of six years old. He has autism and was also recently diagnosed with MERLD. He is verbal, but his average age between receptive and expressive language is 3 years, 3 months, so we have a long way to go. I've been making custom videos for him. This week we've been doing comparisons and action verbs. Today after his dad told him he was going upstairs, he said "I understood." Emphasis on the d. :-)Later, he gathered all his pretzels and told me "I have all of them." Both of these are concepts covered in his video this week. Lastly, he asked his first "why" question today. I've waited so long to hear him ask "why" about something. I can't wait to keep going and see what he'll say next. 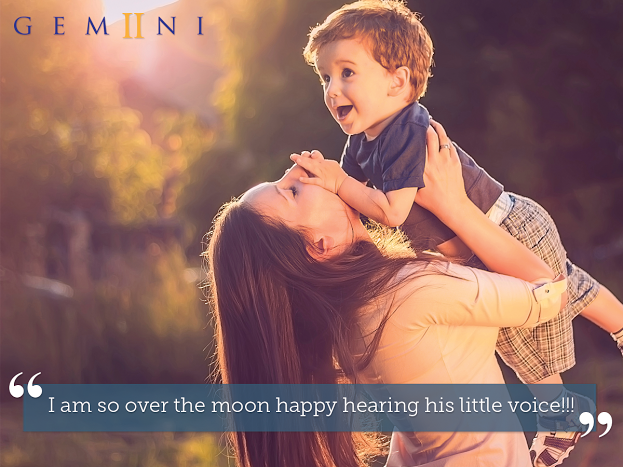 We have been using Gemiini for over 7 months with my 6 yo son. He is now consistently asking me questions like: What did you do today Mom? Did you do some work? Can we go to the pool? How was your day? He was not conversational when we started and he never asked anything. He is consistently responding to his name when called. I call him when I can't see him and he now answers 100% of the time and tells me where he is. That is huge for us as he would never respond before we started. He also now calls for me. "Mom, Mom where are you?" That was our first ever on Sunday. He is able to tell me at least 3 or 4 things he did at school with no prompts. So if I ask him what he did at school he can come up with things to share. Which is awesome as he was not able to formulate a sentence when we started. He for the first time ever (last Sunday) asked his sister if she would play hide and see with him. So I played with them. When Sophia was looking for him she would say "oh I wonder where he is" and then we would hear his say "I'm under the table". So I actually had to tell him not to talk. That is again huge for us as he never wanted to play games like that before. And last but certainly not the least is : I was sitting in our kitchen the other day and he needed help with his sock so he came to me and asked for help. I was looking at my phone and I must have been frowning or something because when he approached me he said "Mom I need help with my sock." and then he looked at my face and he said "Are you ok Mom?" I was just shocked to hear that, because he never asked anything like that before. And he seemed to noticed my facial expressions. All I have to say is I am so amazed at how much progress he has made in the last few months. I am so thankful and grateful for Gemiini. We have a lot of things to still work on but this is the first time I see visible progress being made. 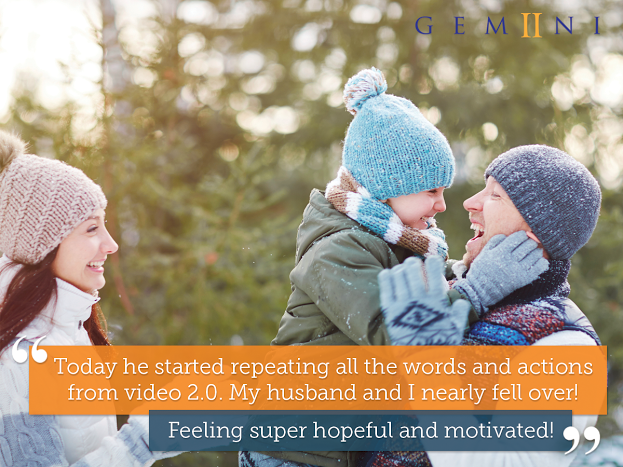 2.5 month into Gemiini, time to have a review on our progress: I'm sure a happy and excited mom ever! My boy, B.. is somewhat autistic (still waiting for diagnosis, probably in Nov this year) and he will be 3 in a month. Ever since we started this journey, we've found he has improved a lot in eye contact, social interaction and joint attention that already impressed me but that was just a good start. My boys (35 month and 18month) watch the video together and I feel lucky they both like it (my youngest won't sit too long though). So, I keep tracking on how many words B... says, before Gemiini was around 40 but he gains more than 100 words in 2.5 month!!! I have to have my ears open everyday as there are always new words coming out, I really can't believe my luck!! These few days, he keeps showing me kitchen items and says 'spatula', 'sauce pan', 'can opener' and even 'refrigerator' (he is saying ri-ger-ta, but it's ok for now) and many more..... I keep practicing the animals (the sounds they make); color; shapes; body parts; food etc with him and he can still remembers most of them!! And we play follow instructions as the one @ Waiting in line (respond when called), both of my boys response well. Oh, not just new words but also have clearer words too, e.g. B... starts to say milk and before he only gets the last syllabus (sounds like the phonics of L & K) And since last month, he started two words phase too: drink yogurt, go down, go pee/poop, turn around, try again etc. Someone told me that B... will have problems having 'normal' conversation with people but I have faith that after we finished the QSL then some conversational speech and QSR, he will catch up well with peers!! Honestly there are some videos B..... tends to watch with hands covering his eyes but when the video runs again and again he seems no problem with it. Parents with kids not interested, please keep playing the videos and hopefully your kids will click in. 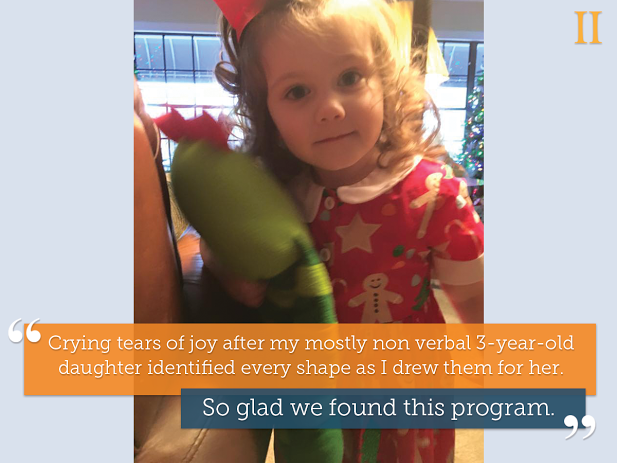 I really want to thank Laura again for creating such a wonderful program as it's like the lost key to unlock the potential from Bryan and I'm glad we started right away when my friend referred it to me!! "This is Nathan, almost 3 weeks into Gemiini. Yesterday while driving I hear from the backseat "mom!" I ask what he needs Nate says "ink (drink)" I ask what he'd like to drink he says "Chaw Mik (chocolate milk)"
I had a real conversation with my "non-verbal" son!!! THANK YOU GEMIINI!!! 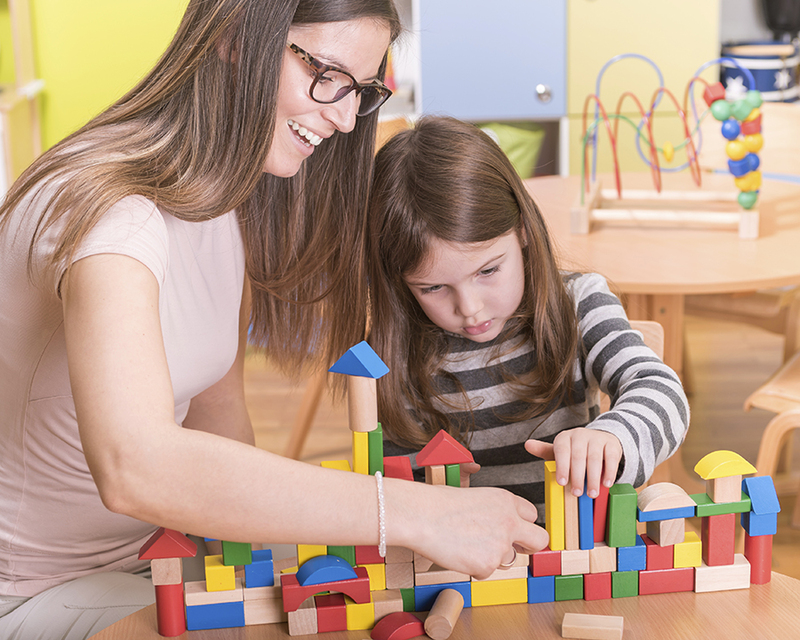 "Hi, I am a speech therapist in Clark county school district in Las Vegas. 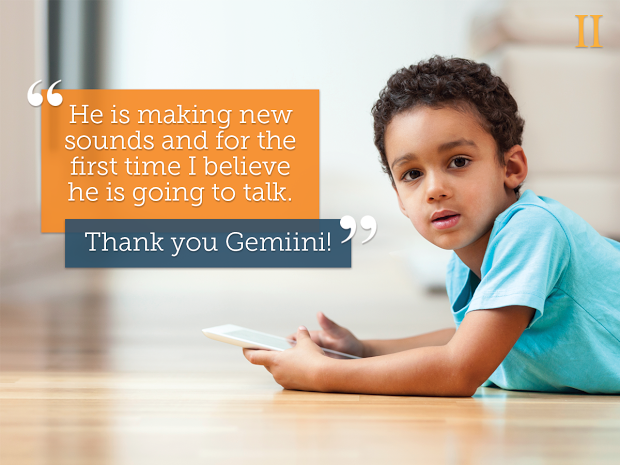 I paid for a Gemiini account out of my own pocket for a sweet 4 year old student I service. He had been receiving 2 hours of ABA tx before school!! (5am-7am!!!) then he goes to an autism preschool program in the district where I provide 240 min of speech therapy a week! And he was making little to no progress! I was literally crying myself to sleep over this little guy. I stumbled upon Gemiini on FB and said, "what have I got to lose except $100?" So it's been 2 weeks and he is spontaneously pointing, imitating the animal actions, and even some animal sounds! I'm beyond excited! I want this for every student! Our district needs this! Our kids need this! Thank you for this program! Thank you!" 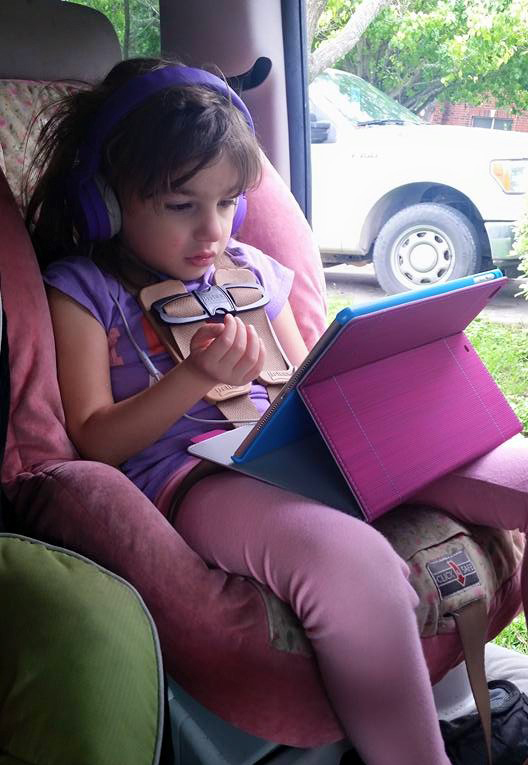 My daughter who has Rett Syndrome LOVES LOVES Gemiini! Just wanted to share a story. 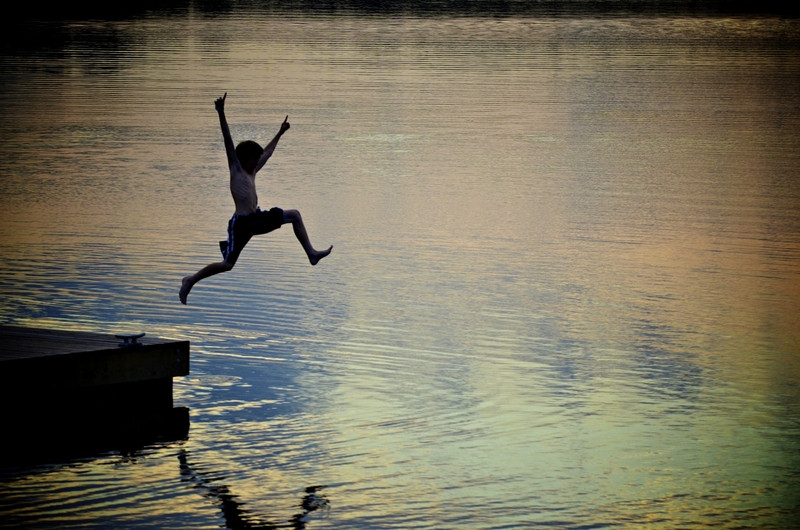 My son with Down syndrome (4) has been trying to jump for a long time. We have tried everything! We have tried the trampoline, pool, peer modeling... We have been watching the 6.0 video this week. Yesterday, while outside, we were practicing following the directions like stop, run, sit down... I said jump. He jumped! I clapped and was very excited! He started clapping and he said, "I ump mama!" Whoopie!!!!!!! I at that point started crying!!!!! My two year old said "mommy he talking!!!!"